After 30 years in their home, empty nesters Jan Hirlinger and her husband decided that it was time for a change. 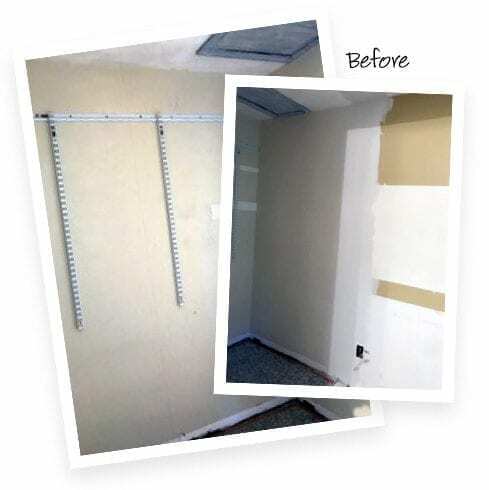 Jan, who had struggled with a too-small closet all the while, knew exactly what type of change the couple could use. 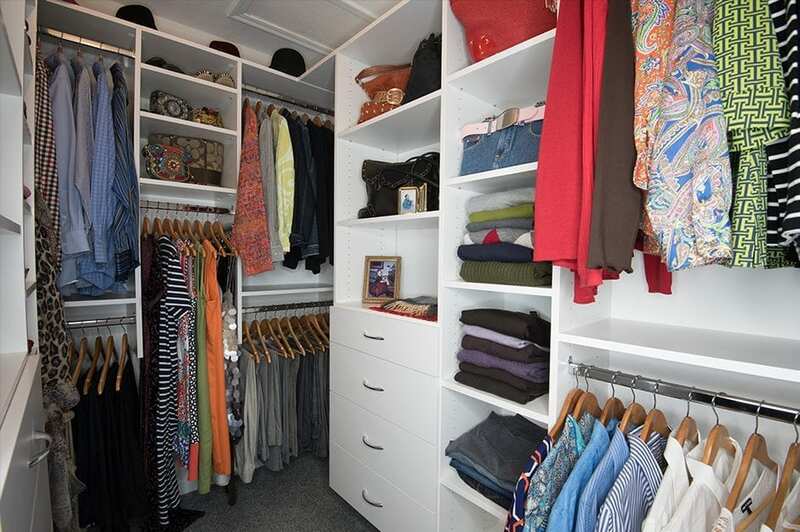 I’ve never had a walk-in closet—and I needed a walk-in closet! We no longer wanted furniture in our bedroom. We wanted clean living. So, we decided to put everything in one space. 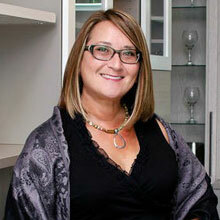 Jan turned to California Closets Cincinnati designer LauraLee Kavanagh to help take her cluttered room to task. Though Jan was unsure if her “all-in-one-space” dream was doable, LauraLee surprised her with solutions she hadn’t thought of. 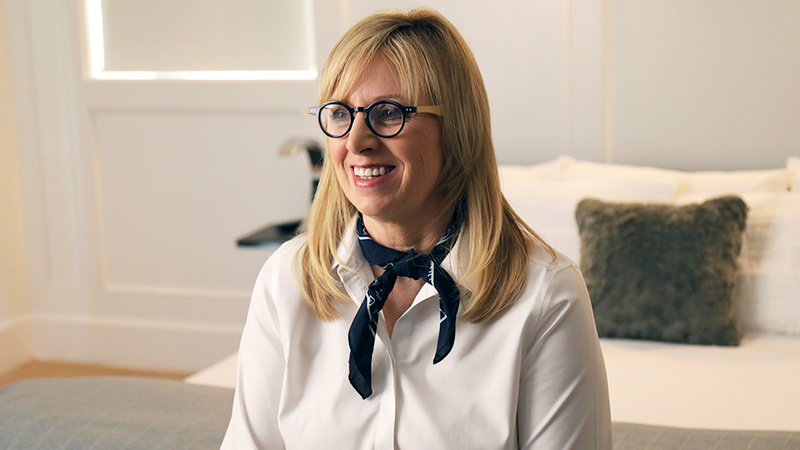 LauraLee went to work maximizing every inch of the newly expanded space, adding features such as a smart shelving system and a ballet rack for scarves and ties. Even the installation process was seamless. I wanted to be able to do everything in my closet. Since I’m a hairstylist, I wanted a blow dryer. She said, ‘We can make that happen.’ She had a better vision for my closet than I knew was possible. When the installer arrived, he took off his shoes, laid out a tarp, and after he was done, he vacuumed. I wouldn’t even have known he was there. Jan, who arranges her clothing by color, was more than satisfied with the result. 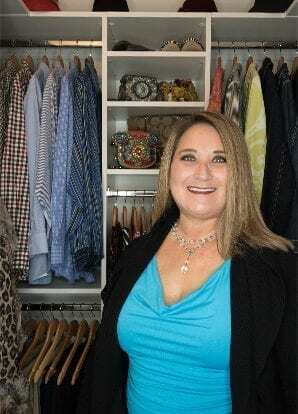 Not only was she able to part ways with her bedroom furniture, her new closet affords total visibility—and there’s still room for more. I need an organized life. My closet brings me simplicity. When I enter my closet, I can find things in an instant. That saves me time, and time is my most valuable commodity.